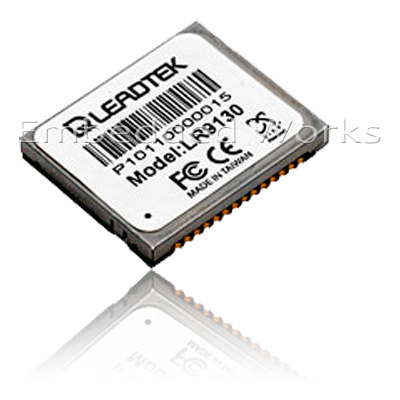 The Leadtek LR9130P GPS module is a high sensitivity, low power, Surface Mount Device (SMD) that can be compatible to LR9548 or fully utilized SiRFstarIV upgrade features. This 48-channel global positioning system (GPS) receiver is designed for a wide range of OEM applications and is based on the GPS signal search capabilities of the SiRFstarIV GSD4e chipset, SiRF's newest chipset technology. The LR9130P provides flexible I/O interfaces (UART is default, I2C and SPI by customer requirement). Backup power reqs. 2.8VDC ~ 5.0 VDC input.